To bring back smiles in smartphone lovers life, Chines smartphone giant, Lenovo has launched world’s best budget smartphone the all new Lenovo K3 with bigger 5-inch HD display, Android kitkat, quad-core Qualcomm Snapdragon 410 processor , 8-MP rear camera which is listed on Chinese online retailer, JD priced at CNY 599 (Approx. Rs. 6,000) in Yellow colour option. How ever Lenovo hasn’t confirmed anything about it’s global launch. K3 will be available online like Xiaomi smartphones. If rumours come true Lenovo K3 will launch in Indian market in Q1 by March priced Under Rs 6,000($100) through online retailer Flipkart. It will give stiff competition to Xiaomi’s best selling smartphone Redmi 1S. (Rs 5,999). The all new Lenovo K3 supports 4GLTE, Dual-SIM(GSM+GSM), 3G, Wi-fI, Bluetooth, GPS and USB just 7.9mm thick comes with a bigger 5-inch HD (720×1280 pixels) IPS display with a pixel density of 294ppi for superior gaming experience and picture quality while 1.2GHz quad-core Qualcomm Snapdragon 410 processor and runs on Android OS, v4.4.2 KitKat(upgradable to Android 5.0 Lollipop) with 1 GB RAM, 16GB Internal memory and 32GB expandable memory promising blazing multi-tasking. K3 also offers you a 8-MP rear camera, 3264 x 2448 pixels with LED flash promising superior photography in low light and 2-MP front camera best for video calling and selfi. K3 also packed with 2300mAh battery promising talk time up to 31 hours and standby time up to 580 hours and measures 141×70.5×7.9mm while new Waves MaxxAudio sound system is perfect for listening music. At last few honest word. 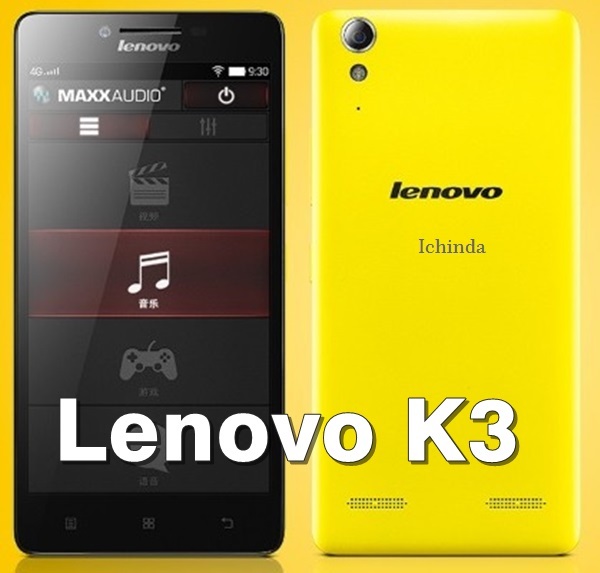 Lenovo K3 is coming to rule the Indian budget phone market. What you think? Please be open to give your view. Its also to be pick sony exmore sensor …. i think it is a nice phone at this price……..When this phone will be launch in india through which shopping site plz email me. nice ……………..tell me relesing date. in which shoping site it will be aviliable…. I want to buy this phone..
it is really lokkin good phone on this price…. I want this mobile plz inform me when launch this mobile. I wants buy this phone is this available please confirm me my email I’d. It’s very nice mobile i want this phone so when u lanch in Tamilnadu plz tel me lanch date .. This mobile will not going to launch in india. Now they guyz dnt have any kind of plan to launch in india. You guyz have to wait for it.. When is it releasing..i want to buy it. Plz notify me this at india launch.